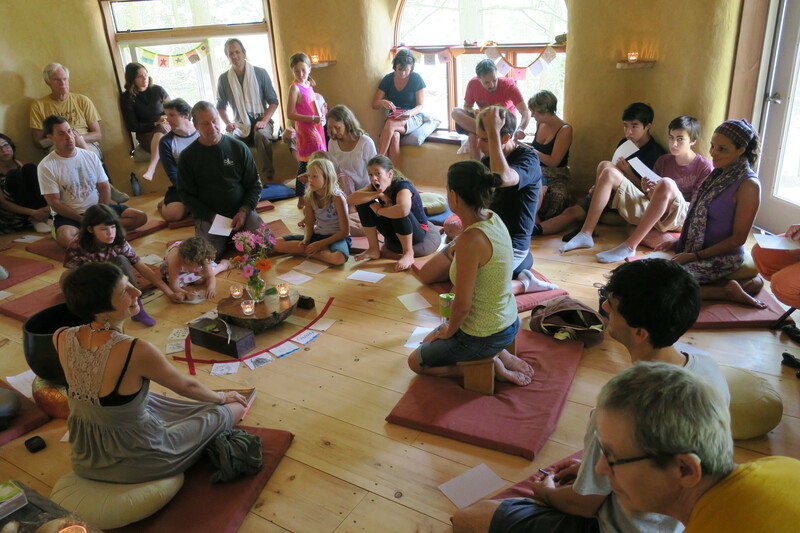 Held in a peaceful and joyous community atmosphere, we will share meditation, mindful meals, group discussions, walking meditations in the forest and listening to teachings on mindfulness in the Plum Village tradition. Together we will explore how to to bring mindfulness practice into our daily lives. The beautiful property also offers a chance to enjoy quiet time in nature or refresh yourself on the pond. Our annual Ceremony of Compassion will be held on Saturday evening and is open for outside guests to join us, it will include chanting and releasing prayers with floating candles onto Blueberry Pond. We hold a ceremony to transmit the Five Mindfulness Trainings early on Sunday morning if there are requests to do so. A separate children’s program will be available for families with children 5 and older during most of the adult program time. If children younger than 5 are able to flow along with the program in a way that doesn’t disperse the program focus then they can join the program with the supervision of one of their parents or caregivers. There is also some activity time that is specifically designed for the whole community so adults and children of all ages can enjoy practicing together. In between program time parents are responsible for their children. The program will blend meaningful mindfulness practice and time in nature with games, creative projects and summer fun. Departure is on Sunday after lunch on July 28th, at 2pm. Please provide your own transportation to and from MorningSun. If you are unable to, contact us, a ride-share may be available.